Monsoons are around the corner and I am looking at ways and means to protect my little one, especially from water-borne diseases such as malaria. 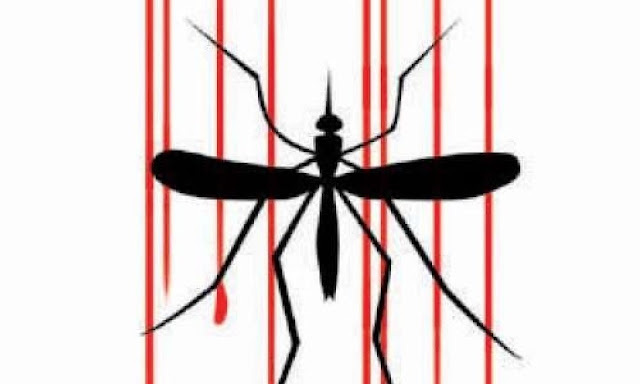 The malaria mosquito breeds not only in water marshes and edges of streams and rivers but also in temporary rain pools. As more than 70% of Indians live in malaria-prone areas, it is really important for us, especially moms to know all about the symptoms, treatment and preventive measures. Malaria is a serious disease spread by mosquitoes, that pose a significant health risk that may prove to be fatal if untreated. The illness is spread when the parasite travels to the liver, growing exponentially and then gushing through the human bloodstream destroying the red blood cells in the body. An infection typically begins with high fever and bouts of sweating episodes, that may or may not be accompanied by abdominal pain, vomiting and diarrhoea. If the condition remains undiagnosed additional symptoms like anaemia, extreme tiredness and convulsions and breathing disorders which may lead to coma, edema or kidney failure. When any signs or symptoms of malaria are observed, it is advisable to get a blood test or a rapid diagnostic test done to ascertain if the parasite is present in the bloodstream. Sometimes symptoms cannot be reliably and hence a parasitological test is important for diagnosis and managing the disease. According to the World Health Organisation (WHO), early diagnosis is critical for treatment and recovery. Since malaria is a treatable disease, the primary objective of treatment is complete elimination of the parasite from the bloodstream to prevent any progress of the condition. Malaria requires prescription medications for a period of 3 to 7 days, depending on the severity of the illness and the medication type. Since there are no vaccinations or home remedies for malaria, it is important to take the medication for the prescribed time period. On April 25, 2018, WHO celebrated the 70th anniversary of World Malaria Day to commemorate and celebrate the global efforts to control and prevent malaria all around the world. Since 2000, it has been noted that India has taken the problem head-on and progressed towards the prevention of the disease. This impressive work has been due to the active participation of the government as well as the preventive measures adopted. As a mother, a homemaker; I have identified some preventive measures that I adhere to, to ensure I keep the malaria parasite at bay. The most important step to safeguard the family against malaria is to keep mosquitoes away. Some of the most prominent ways to keep mosquitoes away are to spray living spaces with indoor mosquito repellants, use outdoor mosquito repellents especially for children and ensure no stagnation of water. Staying true to the proverb 'Prevention is better than Cure', we must all stay vigilant to any cases that may breed mosquitoes and take action at the first sign of any symptoms to ensure the health and wellness of our family and friends and #MakeIndiaMalariaFree.